Ready to add some rodeo to your walls? 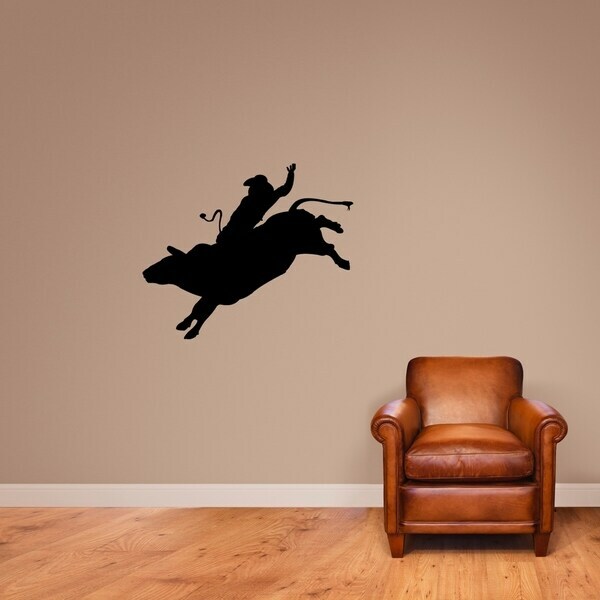 This bull rider silhouette decal is great for your sports room or man cave. Pick the size and color you would like for your rodeo wall decal. The larger sizes come in more than one piece for easier application. Dimensions 36.0 In. X 30.0 In.